Cindy and I did some night driving tonight (Sunday, 21 June 2009) in search of herps at McDowell Mt. County Park. The location is just up the road from our home in Fountain Hills, AZ. 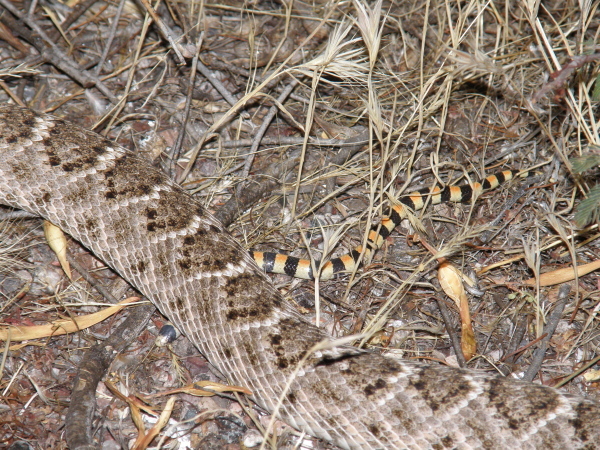 We came across this Western Diamonback Rattlesnake, not unexpected. But, see next photo! 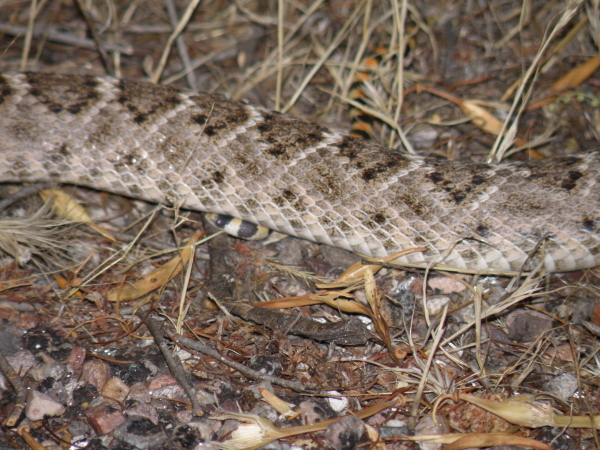 I noticed something else, look under the Western Diamondback. It is a Variable Sandsnake! Both of the snakes stayed still for several minutes while we photographed this remarkable encounter. I have no clue what is going on here. 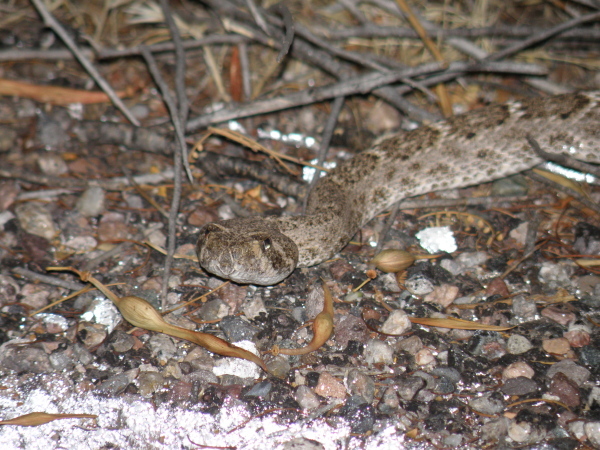 I did get the impression that the Western Diamondback was totally unaware of the Sandsnake. Eventually, Cindy and I prompted the Diamondback to move, and once it did, both vanished in an instant with no trace.